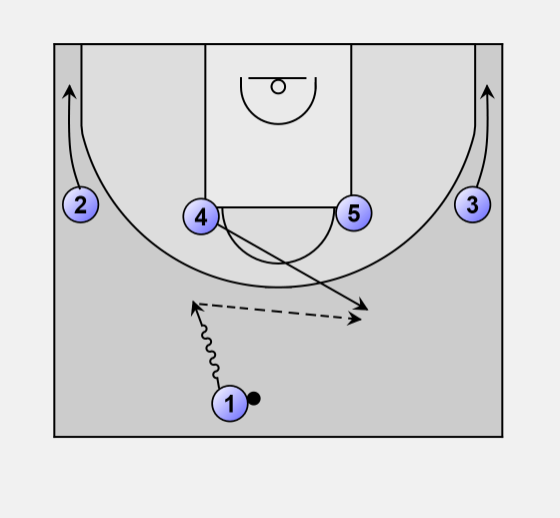 Quick Hitter from a 1-4 set that finishes with a double pick and roll. 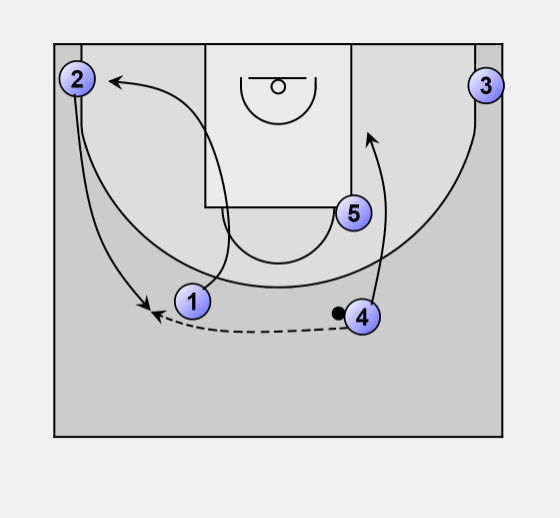 • 4 pops to the three point line to receive ball reversal. • 2 and 3 drop to the corners. • 1 curls to the corner. 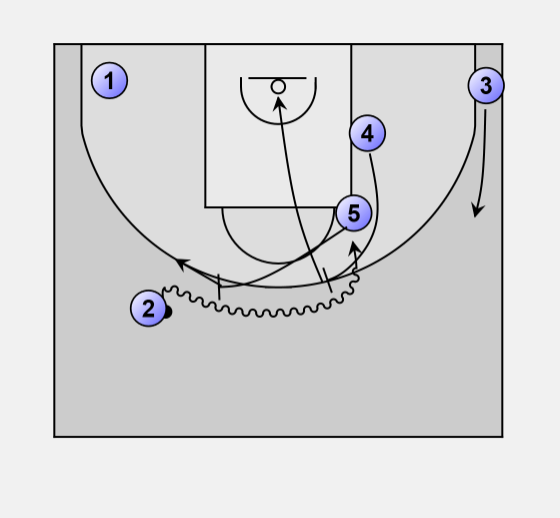 • 2 curls high and receives pass from 4. • 4 cuts to the block. • 5 sets the screen, followed straight after by 4. • 2 and 4 run the pick and roll. • 3 relocates to drag the help side defender out of position.